It seems that Gauss’s original proof did not explicitly use the connection with the Discrete Fourier Transform, although certainly Gauss knew about the latter; in fact, many mathematical historians credit Gauss with the discovery of the Fast Fourier Transform, one of the most important algorithms in all of applied mathematics. See here for a thorough history of the determination of Gauss sums and here for a discussion of Gauss’s role in the discovery of the FFT. While there are hundreds of proofs of the Law of Quadratic Reciprocity (including eight due to Gauss himself), I have always felt that the proofs using Gauss sums are especially insightful. However, as the determination of the sign of the quadratic Gauss sum is traditionally considered difficult (perhaps because of Gauss’s quote above! ), most Gauss sum-based proofs of Quadratic Reciprocity use a trick involving qth powers to avoid this evaluation. I’d like to point out here that (in hindsight — no disrespect to Gauss of course!) the sign is not really so difficult to determine, and once this is done there is a short and conceptual path to Quadratic Reciprocity. Our first goal will be to evaluate the quadratic Gauss sum when is an odd prime number. We will then explain how to adapt the argument to evaluate for any odd positive integer . Finally, we explain how to deduce the Law of Quadratic Reciprocity in a straightforward way from this evaluation. For all of this, we use only basic linear algebra and elementary properties of abelian groups. This is a -linear map from to itself. With respect to the basis of given by the delta-functions for , the DFT is represented by the matrix whose entry is . Note that the trace of (and hence the trace of the Discrete Fourier Transform operator) is . Lemma 1: Let be an odd prime and let . Then . where the last equality follows from the fact that . If , then since there are squares and non-squares in . Thus in both cases we have . Now plug in on both sides. It follows that if and if . The question is, which signs are correct? 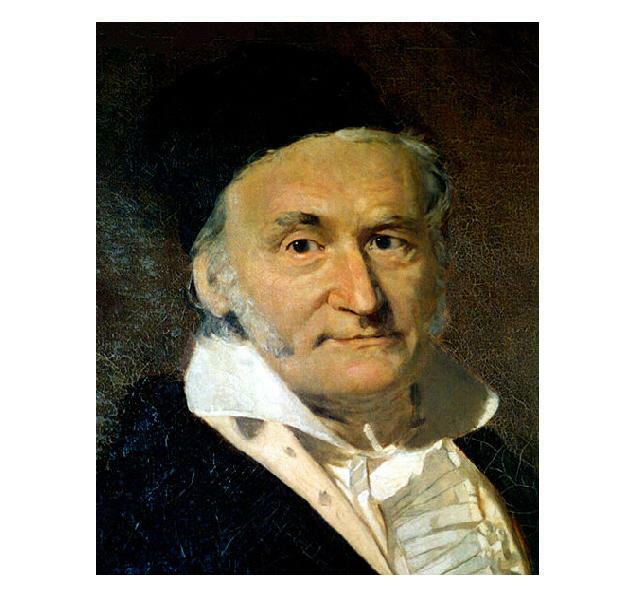 Gauss showed that in both cases the sign is positive. We will prove this with an argument due to Issai Schur (with some simplifications by Ram Murty) which uses only basic linear algebra. The Fourier inversion formula can be stated in the unitary setting as . Thus is the matrix whose entry is if and otherwise. Since , we see that , which implies that the eigenvalues of are and the eigenvalues of itself are contained in the set . Moreover, since the minimal polynomial of is , it follows that is diagonalizable over . We have seen that the Legendre symbol corresponds to an eigenvector of , but it is difficult to explicitly calculate a basis of eigenvectors for . This can easily be done for , however. Lemma 3: Let be a positive odd integer. • A basis for the -eigenspace of is given by the functions and for . • A basis for the -eigenspace of is given by the functions for . In particular, the characteristic polynomial of is . Proof: This is a simple consequence of the identity . (i) The characteristic polynomial of is . (ii) The determinant of is . (iii) The trace of is . Then the characteristic polynomial of is if and if . In particular, the trace of is . Case 2: , , and . In Case 1, (3) and imply easily that and thus . Similarly, in Case 2 we must have and thus . We now finish the calculation of the quadratic Gauss sum by showing that satisfies condition (ii) of Lemma 4. Lemma 5: For any positive integer , the determinant of is . But is divisible by , and so . Note also that for . Thus is equal to times a positive quantity, as claimed. Corollary 1: Let be an odd prime. Then the Gauss sum is equal to if and if . Note that the proof of Corollary 1 only used the hypothesis that is prime in order to show (using Lemmas 1 and 2) that satisfies condition (iii) of Lemma 4. (Our proofs that (i) and (ii) hold are valid for any positive odd integer .) Following Murty, we explain a nice trick which proves that (iii) holds for any positive odd integer as well. Lemma 6: For any positive odd integer , . • Case 2 , and . By condition (i) from Lemma 4 we have and . It follows easily that in Case 1 we must have and in Case 2 we must have . In both cases we conclude that . Corollary 2: Let be a positive odd integer. Then the Gauss sum is equal to if and if . where the last equality is by (1). which is equivalent to the desired result. which is equivalent to the stated result. 1. We calculated the multiplicities of each eigenvalue of the Unitary DFT operator . A more difficult problem is determining an explicit and “natural” basis of eigenvectors for . See for example Chapter I of this survey paper by Auslander and Tolimieri and this paper by Gurevich and Hadani. for the quadratic Gauss sum in the case . 3. For a totally different proof of the Law of Quadratic Reciprocity, based on Zolotarev’s Lemma and card dealing patterns, see this blog post of mine. 4. This is my first post created using Luca Trevisan’s Latex to WordPress converter. This entry was posted in Elementary number theory, Oldies but goodies and tagged Discrete Fourier Transform, Gauss sums, Quadratic reciprocity. Bookmark the permalink.